This American composer had a foot in two camps: pop music and concert music. He innovated in both, writing songs and Broadway musicals which not only define the 20s and 30s (especially Oh, Kay!, Girl Crazy, and Lady Be Good) but break paths which would be fully exploited only later (Strike Up the Band, Of Thee I Sing, and Let 'Em Eat Cake) with the Rodgers and Hammerstein "book" musicals of the 40s. 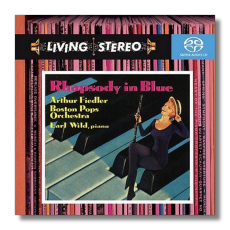 For the concert hall, he invented a distinctive and immediately identifiable idiom with the poetically-named Rhapsody in Blue (1924) and Piano Concerto in F (1925). Almost every one of his concert works has entered the repertory, and, just as important, the American psyche. In that regard, he is the American equivalent of Verdi. 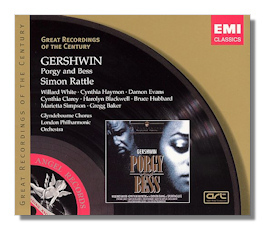 People with no interest in opera hum parts of his Porgy and Bess (1935) without knowing where the material comes from or even that it's part of something larger. He showed an absolute passion to improve his work. 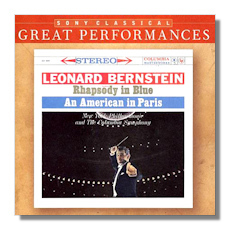 He managed to travel a great artistic distance from the relatively simple tunes of Rhapsody in Blue to the great formal resource of American in Paris (1928), Cuban Overture (1932), and many scenes in Porgy and Bess. Much has been made of his debt to African-American music, and it is indeed a major source of his inspiration, but it's not the only one. Igor Stravinsky, Claude Debussy, Piotr Tchaikovsky, and even Jewish chant also contribute to his (paradoxically) quite original music. 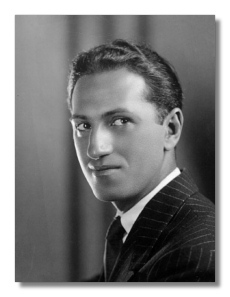 Those who would learn from him have to be careful not to wind up "doing" Gershwin. His critical reputation has suffered among American critics trying to find and nurture a "serious" native style. Even now, his works usually appear on Pops programs, rather than during the regular season, and it has long been the fashion for critics to patronize the music. A really good, committed performance is hard to come by, although one can detect serious interest beginning to be directed toward the musicals and concert works. Europeans, unencumbered by distinctions of "high" and "low" art, have long considered him one of the century's great song writers. His fans included Arnold Schoenberg, Maurice Ravel (who modeled both his mature violin sonata and his Piano Concerto in G on Gershwin's idiom), and Francis Poulenc.